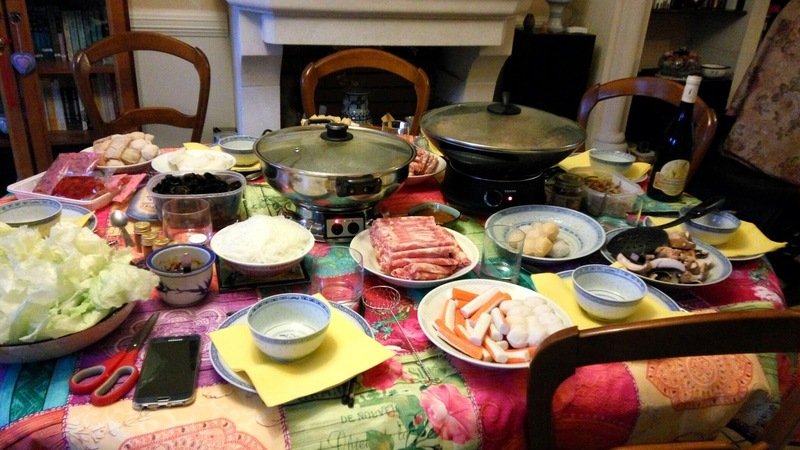 Steamboat, is a common name we use to refer to hot pot in Malaysia. We prepare some soup base, and add anything from meats to vegetables and share the meal together. It is very handy for gatherings as you can prepare most of the things in advance. I like having steamboat with friends and families. It is convivial and we usually share a nice moment together. This month alone, I had 4 steamboat gatherings. One in my place with 10 kids running around, and the other three were held friends' house. Just so happy to find some friends to share this nice meal together. It's much healthier than the French "equivalent", the fondue :-) It's a good meal to share, for sure.